I am just back after watching the last movie in the Harry Potter series and I thought that I should write my ode while I am still dazed in its after-effect. After all, I went from being a staunch Harry Potter hater to an absolute Harry Potter lover. For me, it all began with the movies. I was in class VIII when I first encountered the HP hysteria. We used to have a clay modelling event in our school House Competitions (about which I had blogged here). One of the Houses had created what I now know as the Hogwarts Castle along with the three protagonists. Till then, I had just read about the HP craze in newspapers, but that day I realised that the craze was real nearer home, too. I asked a friend to give me a summary, just to understand why it was so popular. She started about magic, witches, wizards, a boy and a villain and I promptly lost interest. By then, I had begun to read Sidney Sheldon and was looking forward to lay my hands on Jeffrey Archer and I did not want to start reading children’s book, again. I guess, I upped my nose at the mass hysteria surrounding the books. Little did I know that one day I ,myself would be a part of it. Cut to 2002. I was in class XI and it was Children’s Day. Our school had the tradition of taking all the students to a nearby movie theatre (for those who know, Malancha). I was super excited about the whole thing, till I realised the movie to be screened was "Harry Potter and the Sorcerer’s Stone"! But my dismay did not last for long. Thanks to the friend who was sitting beside me and who kept up a constant running commentary, explaining the scenes to me, I found myself immensely enjoying the movie. I felt the same amazement as Harry in learning that he was a wizard, laughed at Ron when he could not get "Wingardium Leviosa" right, felt bad at Hermione being teased by the insensitive boys of her class and ultimately realised that if I so loved he movies, then I must read the books. So, I borrowed the thirst three books, which had released by then, from the school library and finished them one by one. All my previous indifference towards the books and my disdain for "all the girls who love Harry Potter" vanished. Instead, I became a die-hard Harry Potter fan. There was something magical about the stories of the boy who lived. It brought back memories of Enid Blyton.The friendship of Harry, Ron and Hermione in face of adversity reminded me of the Famous Five. The events in Hogwarts was so similar to the boarding school tales of Mallory Towers. The stories were a rich treasure house of all things fascinating. I was the second person to put down my name in the advance list of borrowers in school when the fourth book released. I read the book continuously, in every class and every waking moment, rushing towards the terrifying climax of the return of Lord Voldemort. I started law school and met like-minded HP fans. Discussing the stories, dissecting events and the characters and wondering for hours whether Hermione will go with Ron or Harry became one of our favourite pass time. Just before the seventh book was released, there were numerous discussions in Orkut HP fan forums and other fan sites about the identity of the horcruxes and whether the great secret about Snape was that he loved Lily. I myself spent hours on the net reading the analysis of others and adding my two cents to it. Such crazy were the fans, who had picked signs from all the books to deduce and derive at the ending. May be the only thing that we did not know was the Hallows part, since they were introduced only in the final part. The day the seventh one released, I did not join a number of others who had pre-ordered the book at the abnormally high price of 900/-! At that time, I was in no position to afford the HP books which were almost always highly priced and this was one series whose pirated version I did not want to buy. So, I did what was next best – downloaded the e-book within 2 hours of its release. Locking myself up in my hostel room, I sat in my uncomfortable chair and encountered the final instalment of a series which I had grown to love and cherish over the years. I got a bit bored with Dumbledore’s life history, wanted the trio to find the horcruxes fast but at the same time, re-read "The Prince’s Tale" twice consecutively. I was vindicated as I had been crying hoarse for some time that Snape was not evil. Frankly, I was never happy with any of the movie versions of the any of the books. I was always indignant about something or the other being left from the movie, which in my opinion was absolutely necessary. Any die-hard Potter ‘book’ fan will agree with me. But since the movie introduced me to this wonderful tale, I remained loyal and watched all of them. In fact, I, like many others, had began to identify Harry with Daniel Radcliffe. There was a separate charm about the movies. I remembered having high expectation about the on-screen translations of the confrontation at the Ministry at the end of fifth book which turned out to be quite tepid in the movie. Today, I was so hoping to see the final battle at Hogwarts and was sorely disappointed to see nothing extra-ordinary. Those who have applauded the special effects at the battle may have not seen the ones fought in Lord of the Rings! I was indignant at how the movie depicted Hermione letting Harry go on his suicide mission, whereas the book was absolutely clear on this aspect – that none of Harry’s friends would have let him surrender. I would have loved Neville to burst into flames along with the Sorting Hat and then chop off Nagini with the sword of Gryffindor. I would have loved to see the final confrontation between Harry and his nemesis taking place in the Great Hall in front of everybody else. But then a movie is a movie and a book is a book. The book always leaves scope for a reader to imagine a scene in his own way and so many of us imagine the world of Harry in our very own ways. For me, the magic of HP ended with the release of the seventh book. Today, the world of Harry ended with the final movie. In between, I have read all the books and watched all the movies (till the sixth one) countless number of times. I will continue to catch a page or two and watch the movies on HBO every now and then and I know that I will never tire of the same. The books of Harry Potter remind all of us that childhood still exists and as adults, we can always revisit it any time we want along with Harry. Seems Mr. Potter is in the air..
My tale is quite similar. Was an ardent hater till I saw the movie on children’s day. Loved it. And then polished off the first four books (yes, not three, i think the fourth had released by then) in the next three days. I never used to take calls from my HP lover friends when the next few books came till I read them myself, for fear of spoilers. I am yet to see this movie, mostly because I don’t want to hurry it. After all, this is it. The end. But it has been a memorable journey. Yes, that one is the fake HP 7! I am not a hater at first but I felt it kinda weird when I have see Harry sitting on buckbeak in the stills of Prisoner of Azkaban (my first introduction to Harry Potter). Then also I didn’t find any interest in the book with the papers showing people standing in long queues to catch a copy as soon as possible. But just before the release of the 6th movie (7 weeks to be precise 🙂 and decided to finish all before the release of the movie:), I thought let me give it a shot and bought pirated copies of first 2 books. Even though it took a little time to get hook of it and once I completed the 2nd book by the 3rd week its all fast paced and completed all the books well before the time. Congratulations! 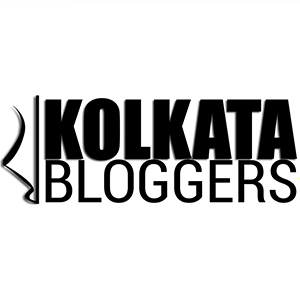 The Directory of Best Indian Blogs is out and your nice blog figures in that. We thought, let’s announce that to you. Since all blogs do not have emails clearly mentioned, we have taken the liberty of telling you of this by making a comment on your latest blogpost. Hope, you don’t mind it. I think I share the same fate as far as Harry Potter is concerned and my story is quite similar. My brother turned me into a Harry Potter fan. The first movie I saw was the Chamber of Secrets and I loved it. Then I went and read the books – amongst the Sidney Sheldon and other “adult” books, this was a refreshing change. And lots of points to you for bringing back good ol memories of Mallory Towers and Enid Blyton! Though my favourite Blyton series would be the “Five Find Outers”. Debosmita, I don’t know you. I simply followed the link on your comment. We’re on the same boat. We have exactly the same opinion about the movies. It’s heartening to find someone who thinks the same way amidst all the hype.